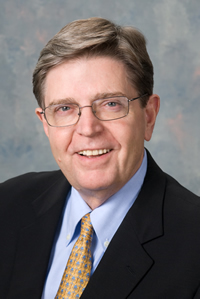 Home / Jesse R. Adams, Jr.
Jesse Adams is a founding member of the firm and with more than 40 years of litigation experience, his insights are invaluable to our work. Mr. Adams is an honors graduate of the University of Mississippi School of Law where he was also a member of the Board of Editors of the Mississippi Law Journal. In 1975-76, Mr. Adams served as counsel to the United States Senate Judiciary Committee and is a past president of the Louisiana Association of Defense Counsel and a recipient of the National Defense Research Institute’s Outstanding Performance Citation. He has taught trial advocacy at Tulane University Law School, served as a faculty member for the Louisiana Association of Defense Counsel Trial Academy and was an instructor in Comparative Trial Advocacy at the University of Cambridge, England. He also served as a mediator, having been certified by the Attorney-Mediator’s Institute, Inc.
Mr. Adams has been a member of the Louisiana Association of Defense Counsel, International Association of Insurance Counsel, Maritime Law Association, and the Louisiana, Mississippi, Texas and American Bar Associations.